Greg Allgood currently serves as Instructor of Christian Studies and Associate Director of Campus Worship at Anderson University. Prior to joining the full time faculty, Greg was the Director of Campus Ministries. He has a passion for ministering to college students and watching them grow in their faith and commitment to Jesus Christ. A 1982 graduate of Anderson, Greg grew up in the upstate of South Carolina. 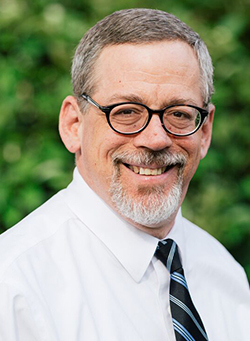 He completed his BA in Communications from Carson-Newman College in 1985 and received his Masters in Communication from Southwestern Baptist Theological Seminary in 1987. Before coming to Anderson as Church/ College Relations Coordinator in 2000, Greg served for twelve years in two different youth ministry positions. Greg has also served as an Instructor of Speech/Theatre at the University. Greg received the 2005 Star Award, the 2006 President’s Award and the SGA Second Mile Award for dedicated service for 2003,2005,2008. Greg and his wife Darlene currently live in Anderson with their two sons Caleb (17) and Joshua (13). They are members of Concord Baptist Church where Greg teaches an adult Bible Study class and serves as a deacon. He is very thankful to God for every blessing and seeks to make every day an opportunity for worship. CHR105.Introduction to the Bible is a literary, historical, and theological introduction to the Bible.